The marine or maritime design will, without a doubt,help you relax and lift your spirits. 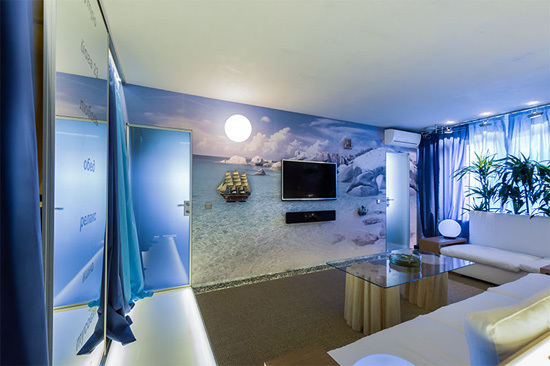 The application of the marine theme to interior design often appeals to those who love the combination of white and blue. This color combination is smart, instantly lifting spirits and creating an atmosphere of relaxation. This style is distinctly decorative, expressive and luxurious. However, despite all these advantages, its application in interiors remains rare. If you like shades of blue and white, appreciate nature and are drawn to antique objects and styles, then perhaps you need to try out the marine style in your home. The maritime style is old, having been in existence for over one hundred years old. However, the style has remained practically the same as it was a century ago, with minimal evolution. 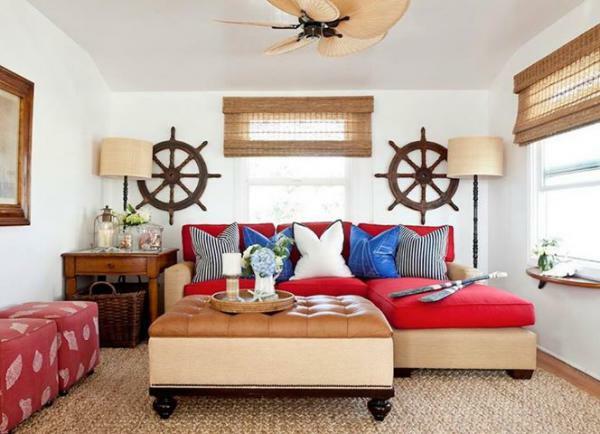 Nevertheless, the maritime style remains a universal classic, with its motifs suitable as complements to a variety of interiors in different styles, ranging from Provence to country and contemporary styles. 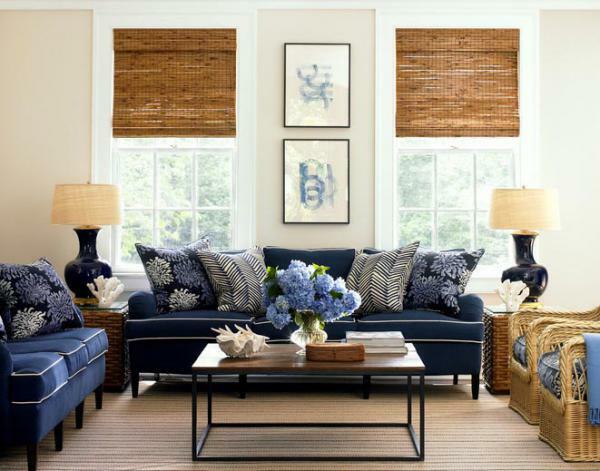 Marine style is best suited for rooms with windows that look to the east or south. Windows installed this way allow for proper penetration of natural light from the outside, working with the blue color scheme to create a feeling of calm and tranquility, which, in turn, helps improve the relaxation experience. The combination of blue with white. 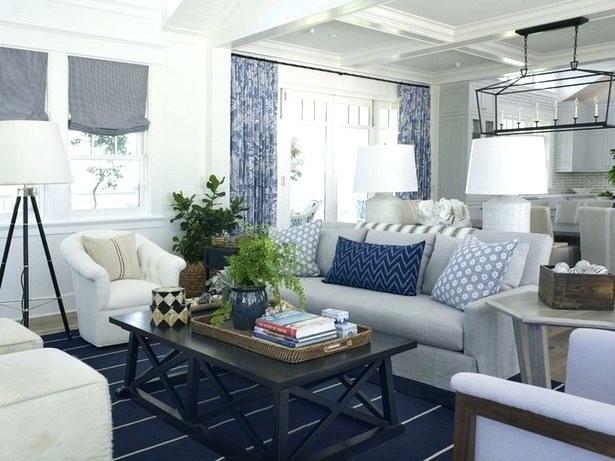 This combination can be in form of classic blue-white stripes or othervariant patterns that utilize the two colors. Furniture and flooring made of natural wood. The presence of various antique items with a connection to marine life.These can be models of sailboats, hand-wheels, pictures of seascapes, treasure chests and much more. However, the marine style allows one to go outside the style’s rules and alter the interior by adding elements of modern design, such as floor lamps and curtains. As for the finish, as a rule, marine interiors have a wooden floor covered with a straw mat. Alternatively, you can have a floor in a different style then cover it with a carpet imitating wood. These sort of floors go well with white walls. At the same time, the furniture for marine interiors is characteristically massive. These are not the usual elegant tables and beds, but rather, heavy and large wardrobes, chests and sofas. However, sometimes there are exceptions to these rules, depending on the likes and preferences of the homeowner. Color palette.The combination of natural wood with blue and white hues is not just simple but also refreshing. Only natural and high quality materials are used in the interior, bringing authenticity to the home. The marine interior utilizes a careful selection of décor, making it a refined style. Aside from the combination of white and blue, the marine style also permits use of a variation with beige and pastel blue. Such an interior appears not just calmer but also tenderer. The variant color palettes can be used while preserving other aspects of the marine style, such as large furniture and natural materials. It is recommended to remain within the restrains of the furniture requirements as using furniture other than that prescribed compromises the authenticity of the style. 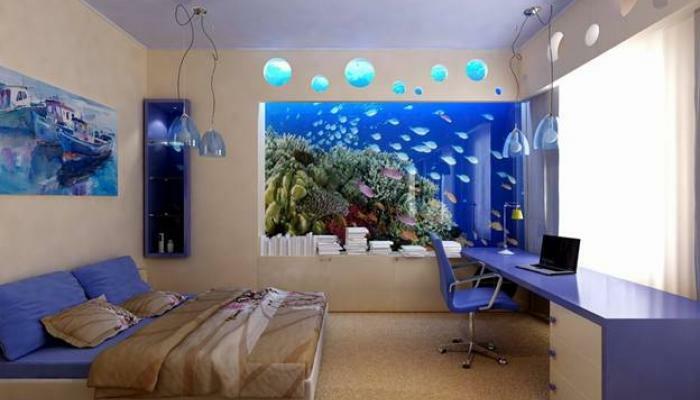 To make the marine theme livelier and brighter, you can add indoor palm trees or other exotic potted plants. 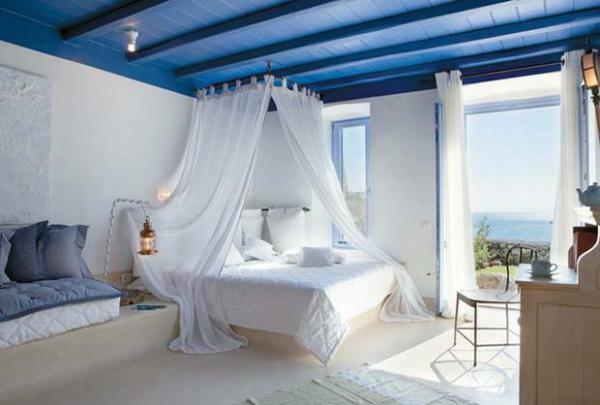 When creating the bedroom, you can choose a beautiful and delicate linen in white-blue or just plain blue. 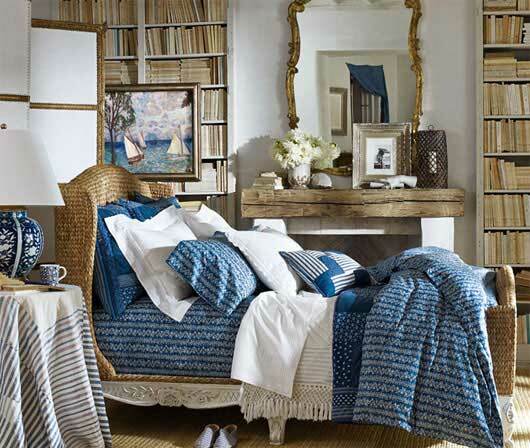 If you select a heavy classic bed and massive wardrobe, the bedroom will become even more aristocratic. 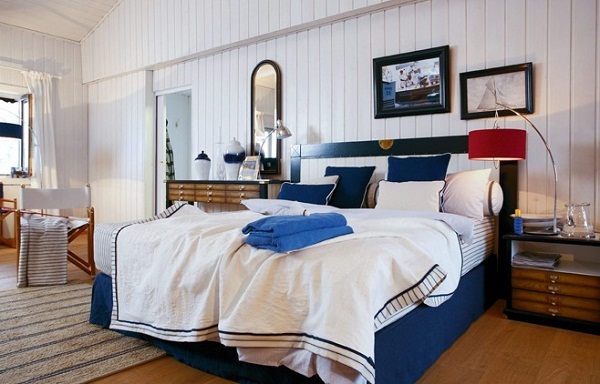 To spruce up the marine style in the bedroom, use multiple pillows. However, you need to ensure the size of the pillows corresponds to the scale of the bedroom and objects in it, especially the bed. Using dark shades: By all means, you need to avoid dark hues, including dark blue.Even though dark colors do not affect the presentation of the marine style, they make the room gloomy. 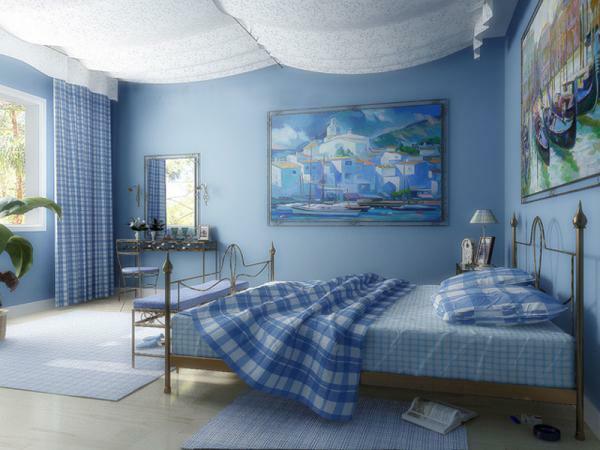 Painting walls deep blue: Deep blue walls are not appropriate for marine style interiors as they make the room look dark. The shade should be limited as an accent, used for pillows, carpets, and other minor decorative elements. Another serious mistake is the attempt to replace natural and high-quality materials with more affordable artificial materials or materials that are blend of natural and artificial materials.Even though these other materials will save you money, don’t succumb into the pressure as doing so will result in an interior that’s fake and tacky. If you’re on a tight budget, it is better to buy less furniture, but of superior quality and more expensive, therefore upholding the startle of the room. 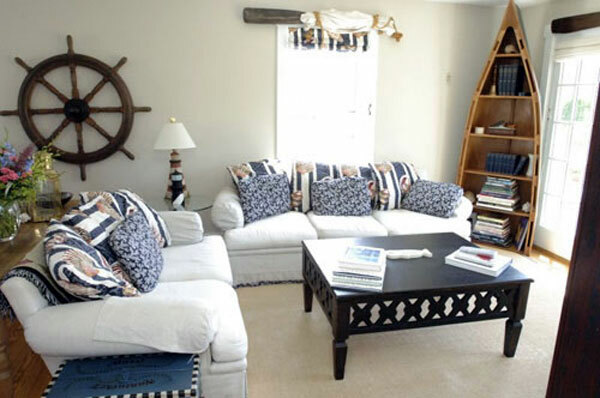 In conclusion, the marine interior is a special style that can set a certain mood and relaxing atmosphere, which is why many of its individual elements are present in many homes. You should strive for a fully-fledged marine interior with massive quality furniture and light walls. You can try it out for yourself and we bet the result will be incredibly beautiful.